Having the right skill set can make all the difference in the travel and tourism industry, read why below. In the working world, in fact, more specifically in the world of tourism and hospitality, practical skills are important. To be able to understand facts and figures about different geographical locations and understand fare structures are useful skills. What is more, being able to exhibit these practical skills can make you all the more employable. The travel industry is one that is very demanding and therefore coming with the right knowledge and expertise that can be readily applied to your role is something that is highly sort after. This is truer still when you consider the way the travel industry has been heading the last few years. With customers having the power to make several bookings with the click of a button what skills do travel industry employees need? With the advancements of online bookings and online travel agents (OTAs), more power is in the hands of the customer. The process of booking flights has become more user friendly for travellers. That's why learners trying to break into the travel industry need skills that can make them more and more indispensable. 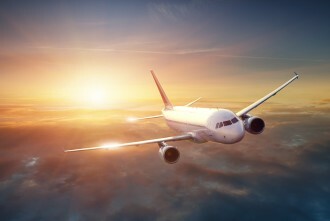 Though flights are easier to book, not every traveller is knowledgeable about destinations. For someone working in the travel industry, having a more specialist understanding of destinations is all the more valued. Offering different packages becomes easier when you understand the attractions and selling points of a location. Then being able to apply metrics and costs of said location gives you ability to work in different parts of the process. Demonstrating a sufficient amount of knowledge about the industry is attractive to employers. Due to the global factor of travel, it means almost every country can tap into it, therefore providing a lot of opportunities. 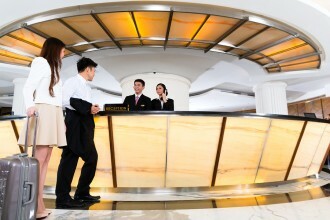 The travel industry is an industry that CTH is associated with. Having a range of geographic knowledge; understanding fare structures; and gaining the knowledge to use Sabre systems are qualities CTH endorse's through our Level 2 Diploma in International Travel Reservations. Our travel programmes are designed by some of the top industry writers to provide a contemporary approach to learning. To read more about which on-the-job skills the programme can help develop click here or email info@cthawards.com for any of your queries.